Autumn (Fall) is the pleasant season of the year between hot summer and cold winter. 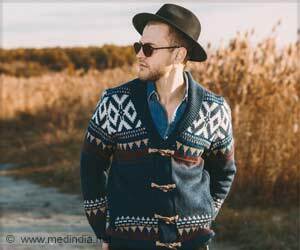 Fall outfit for smart and stylish well-dressed men are going to be trendy. Let us enjoy the pleasant weather by choosing the right kind of fashionable autumn menswear. After the relentless heat of the summer, it's hard not to get excited about the fall. The winter styles are all about mixing different colors and; keeping everything sleek and minimal so its time to start preparing for your essential acquisitions which you need for this fall season. Introduction to light layering: Investing on the right layering pieces and right material with different colors and shades are something one needs to be cautious about. Stock up your wardrobe with a great mix of long and short sleeved T-shirts, lightweight collared shirts, a cool sports jacket and of course a comfortable sweater. Wool it up: The time one spends on buying upper body layers leaves them with a limited amount for warming up the legs. Giving comfort to your lower body in the cooler months is to switch to wool fabric. Light weight woolen pants work great for the season, and you can always team it up with your basic shirt and blazer. Textures: Woollen knits, suede or velvet and even cotton fabrics with velvet ribs is a good way to keep your look interesting while keeping it easy on the eyes at the same time. This can be best done when you follow solid colors in textured fabrics. You can always match them up with dark solids or lighter greys and other soft shades. Play it solid: With the layers taking its place, it is also time for solid, muted colors. It might not be a rule to follow, but the solid earthy tones and darker shades of orange, green go well with the season. Men should always keep it minimal with solids and not layer them in a way that makes the look come across as overpowering. Keep the colors varied, but they should mostly be solid and try creating a pattern with the solid layers you plan to wear. If you want to look classy and trendy at the same time, a simple white shirt, a dark pair of jeans, a casual belt with a nice pair of sneakers or loafers will do. Festival season is here and festival sale can bring happiness to all customers. Choosing right festival shoes can make you feel comfortable and prevent injuries. Here are 5 simple ideas on how to choose the best festival shoes.